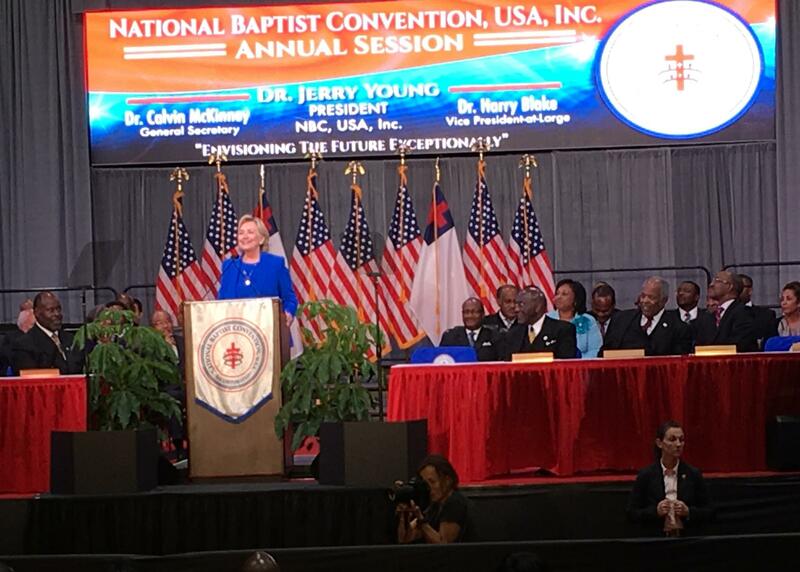 Hillary Clinton spoke about her own faith before the National Baptist Convention taking place in Kansas City. Clinton talked about growing up in the Methodist church. She said the youth minister took them to meet African-American and Latino children attending churches in inner-city Chicago and see Martin Luther King, Jr. deliver a speech. Clinton said those experiences and a career-long interest in helping people in poverty gives her an appreciation for the struggle of many African-Americans and other minorities that Donald Trump does not have. “People who look at the African-American community and see only poverty, crime and despair, are missing so much,” said Clinton. She said they are ignoring things like vibrant black-owned businesses, historically black colleges and the church. “Well, I see you. I see the work you do, and the lives you change,” Clinton said to sustained applause. But Clinton did not see as many people as she may have liked. Three thousand or so Baptists showed up, but the room was initially set for thousands more. Trump supporters crowed the lackluster attendance as a sign that Clinton is slipping, and claimed that the Republican candidate continues to jam arenas when he speaks. Clinton did not mention Trump by name but said “her opponent” is dangerous, especially for minority communities. “Our nation’s values are being questioned in this election,” said Clinton softly. 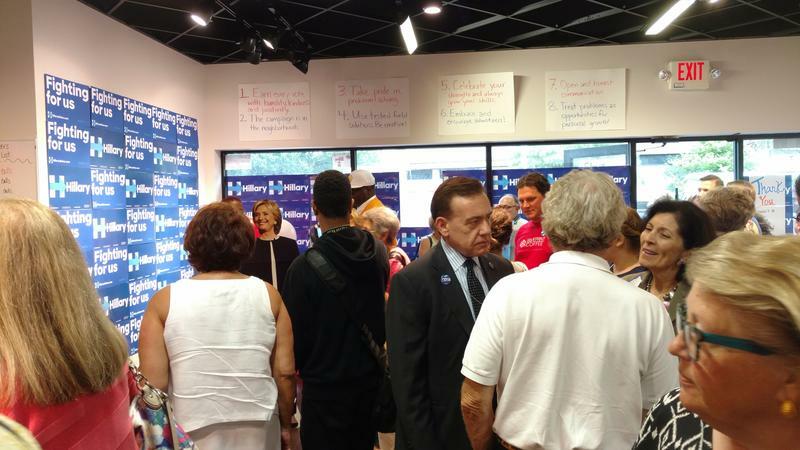 “We are facing a candidate with a long history of racial discrimination in his business, who traffics in toxic conspiracy theories like the lie that president Obama is not a true American,” she said, bringing up what was clearly sore subject with many in the room. “If he doesn’t even respect all Americans, how can he serve all Americans?” asked Clinton. Clinton said she would tackle a long list of policy initiatives if elected president. She vowed to launch a massive jobs program, steer more investment to poor neighborhoods and lower the cost of college. Clinton also vows to address issues brought up by the Black Lives Matter movement. “Together, we’ll face head on systemic racism and work to reform our criminal justice system from end to end because everyone, in every community, should have respect for the law and be respected by the law." Trump counters that policies championed by Clinton have left African-Americans in dire shape, suffering high unemployment and bad schools. He recently asked what they have to lose in voting for him. 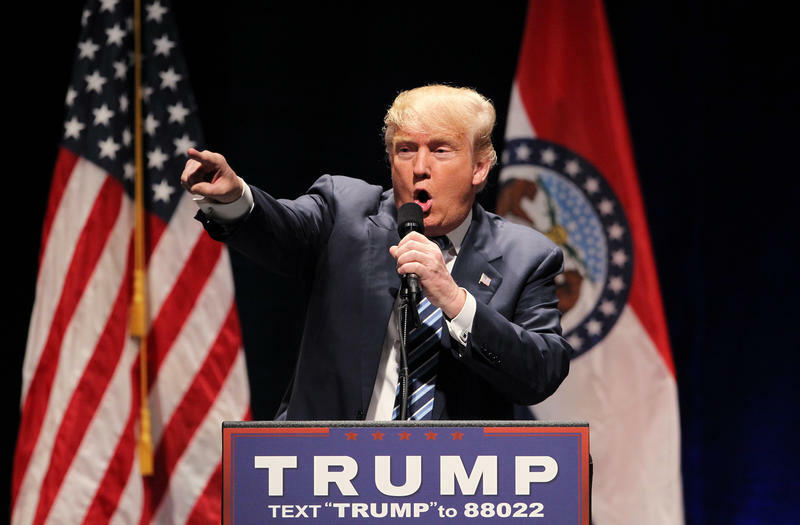 Republican presidential nominee Donald Trump has tapped two veteran GOP operatives to head up his state operation. Aaron Willard, who has held several key posts in the Republican-controlled General Assembly, is Trump’s new state director. Todd Abrajano, a consultant with similar GOP ties, is to serve as Trump’s communications director. A group that challenged tax breaks for a $310 million downtown Kansas City convention hotel announced Tuesday that it will not challenge a judge's ruling that the city does not have to honor their petition drive to force a public vote. A Jackson County judge ruled in agreement with the city that though Citizens for Responsible Government collected the required number of valid signatures to get the measure on the ballot, doing so could require the city to illegally default on already-signed development agreements.